Regular readers will have been following the ups and downs of Google’s Nexus 4 smartphone, made by LG. This has been a phenomenal seller, so much so that since it first released in November through the Google Play store it has been very difficult to get your hands on it. Despite this it has now been assessed that the Nexus 4 has sold around one million units, which begs the sorry question of just how many more could have been sold if only LG and Google’s supplies had met demand? We’ve written many articles now about shortages of the Nexus 4 and have been trying to inform readers when more stocks have become available. Only on Friday we told how the Nexus 4 had sold out again in most regions but hopefully the supply situation will soon ease and the many potential customers for this phone will at last be able to purchase one. It has been difficult to get firm sales figures from either Google or LG but customers en masse plus some ingenious workings out have estimated one million Nexus 4s sold already. A method was first established on the XDA Developers forum whereby Android enthusiasts collaborated to come up with total sales figures for the Nexus 4 based on IMEI numbers of handsets produced and sold. Around the end of 2012 it was estimated that around 400,000 Nexus 4s had been sold, worked out from serial numbers, but that figure then rocketed in January. An XDA forum senior member has now posted on February 7th about the 999,998th Nexus 4 being sold in Turkey (despite this not being an official market). Google and LG may be pleased with one million Nexus 4s sold, especially as the Nexus 4 is very much targeted at the real Android enthusiast who likes to dabble with their smartphone. However if one million have already been sold considering the fact that there have been so many shortages, we can only imagine what the figures would have been if they could have produced enough Nexus 4s to satisfy demand. Although supplies are slowly improving and are still selling as they come into stock, they may not be as much in hot demand as they were at the height of release and in the first few weeks afterwards and may not be selling out quite as quickly. Also there will undoubtedly be some potential purchasers that got fed up with waiting and opted for an alternative smartphone. Rather than dancing with joy surely Google and LG should be hanging their heads in woe at the missed opportunity for even more sales. Whatever way you look at it though, sales of the Nexus 4 reaching one million are pretty impressive, especially if you take into account that in many markets it was initially only sold through Google and not multiple carriers. For example in the US it was available from Google Play and then became available from T-Mobile (at a far higher price). 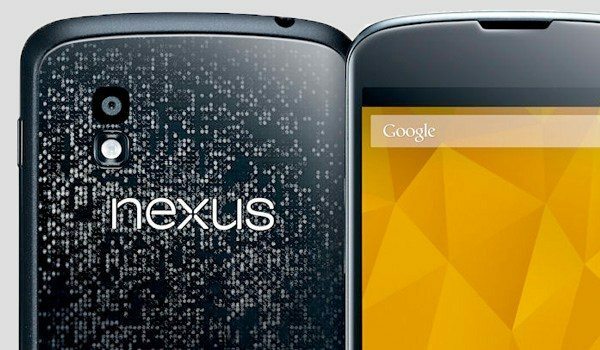 As time goes on we are now hearing of more third-party retailers such as Walmart joining in sales of the Nexus 4 but that has only happened as the supply situation begins to ease. The XDA Developers forum may have developed an ingenious way of calculating sales figures of the Nexus 4 but what we’d really like to see now is an estimation of how many sales of the phone were lost because of the stock situation! We may never know but we suggest that Google would do well to take this saga into account when the next Nexus device is launched to avoid the same scenario all over again. We’d love to hear your views on this. Have you waited patiently to get a Nexus 4 and if you managed to get one now are you glad you waited? Maybe you’re still hoping to order a Nexus 4 but keep being met with the ‘out of stock’ message? Perhaps you are one of those consumers who got fed up with waiting and purchased an alternative? Send us your comments on this as your views are always welcome. Im still waiting for the stock, they are not available yet again! Just been on the UK site and they are still in stock. The 1-2 weeks delivery took about 2 days. Longer if you ask them to link it to your account I’ve heard. Got my Nexus 4 from the Carphone Warehouse and paid a bit more for it. Worth every penny! I am delighted with it after my disappointment withe the iPhone 5. The Nexus is everthing the iPhone should have been. Ordered yesterday. Checking my email after every hour to see the shipping notification!. This is my first smartphone. Nexus 4 made me to buy my first. I got one on launch day. I was lucky enough to be hitting refresh 15 minutes ahead of the 9am sale time and got through early. I love it. I’ve held off on custom ROMs for awhile but when I go back my galaxy nexus occasionally I start to miss CM. The nexus 4 was my first step to getting away from Verizon and I’m so far pretty happy with T-Mobile service. I bought the phone straight from Google but I chose T-Mobile service because of their awesome 30 dollar plan. I just ordered two on Wednesday straight from Google… 2-3 weeks estimated order fulfillment and they still charged for 2 day shipping… I mean if I’m waiting that long for it come on. IntereI ordered mine on 3rd Feb, with an estimated shipping time of 2-3 weeks. However it came within 3 days! I nearly sold it straight away as I paid Â£279 from Google and a local mobile reseller was offering Â£350 cash for one. Got in too late though as the following day, the cash offer had dropped to Â£253. Word obvoiusly got out that they were starting to flood back into the UK! Oh well, you snooze, you lose! Still – great phone. Faster than Usain bolt on rollerskates.